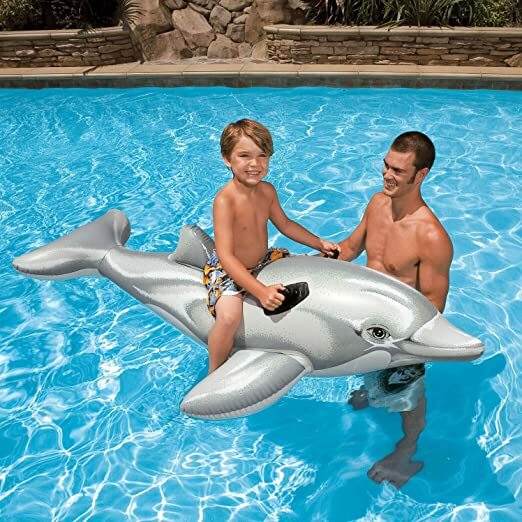 INTEX Giant Dolphin Inflatable Swimming Pool Ride-On Raft 充气的浮漂， 原价47刀， 打折后$12.46. 海豚两边带扶手， 小孩子可以做的很稳，非常fun. 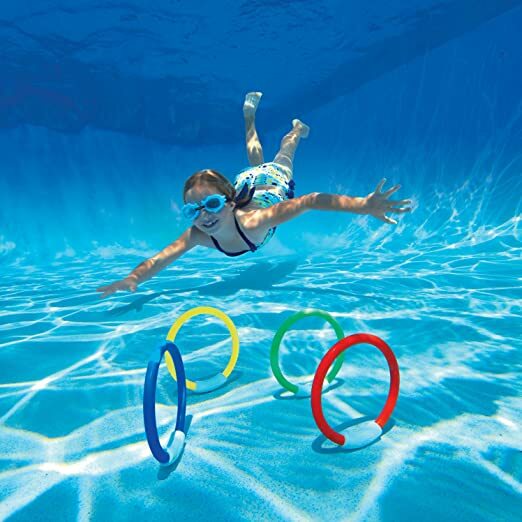 Intex Underwater Swimming/Diving Pool Toy Rings 小孩子练习潜水用的 diving ring. 4个不同颜色的ring， 原价20刀， 现在打折只要$5.59. 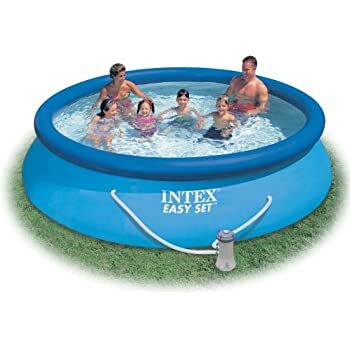 Today only, Amazon.com where they are offering up nice savings on select Intex Pool Sets. This Intex 12ft X 30in Easy Set Pool with Filter Pump for only $55.52 shipped (regularly $119.99). These pools are quick and easy to assemble, come with a set-up and maintenance DVD, and feature super tough laminated PVC sidewalls for durability. 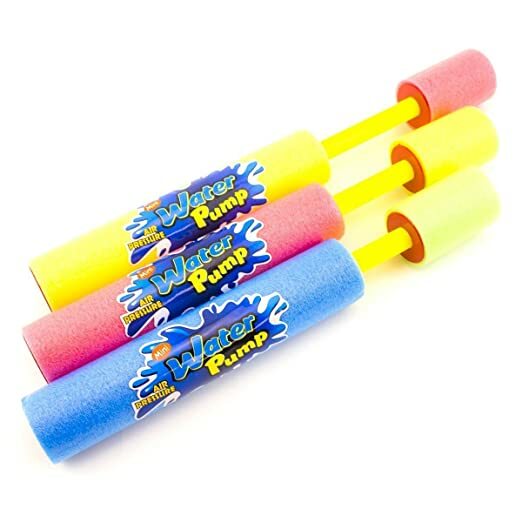 The drain plug connects to a garden hose so water can be drained away from pool or house area. On Amazon.com you can now buy this Intex Swim Center Inflatable Family Lounge Pool for just $21.02 – lowest price! Note the final price will appear in cart after $1.08 instant savings. 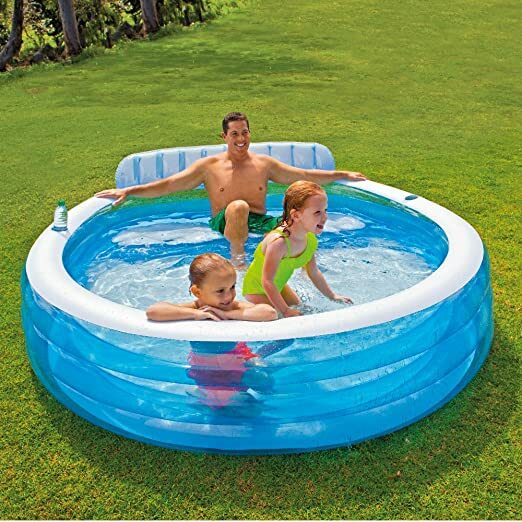 This inflatable pool is great to keep the kiddos cooled off and entertained all summer long. Even sweeter, it has a bench parents can sit on and relax while they watch the kids! 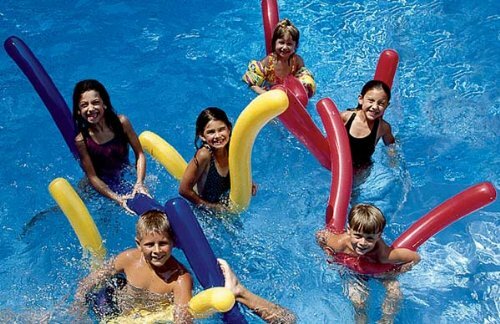 Inflated dimensions are 88″ L x 85″ W x 30″ H.
Amazon where you can get some great deals on Big Mouth Inc pool inflatables! 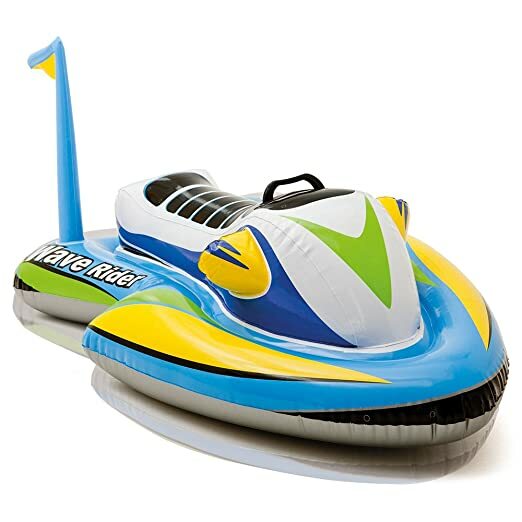 On Amazon.com you can now get this Intex Wave Rider Ride-On Float for just $9.87! This float is great for kids 3 and older because of its wide base and heavy duty handle. 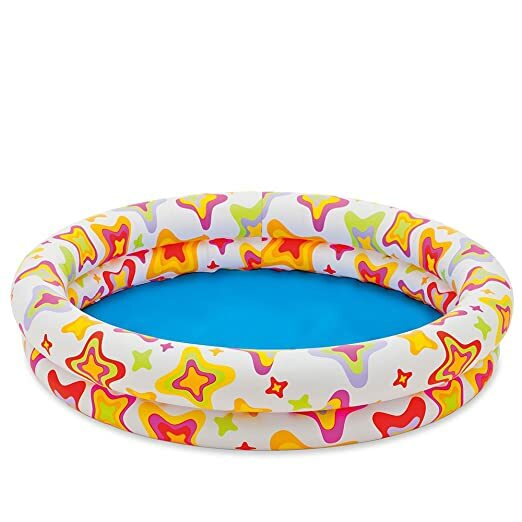 On Amazon.com where you can get this 63″ X 33″ Intex King Kool Lounge Inflatable Pool Float for just $5.19 (regularly $11.99)! This lounge comes in two assorted designs with a clear top and either a blue or gold vinyl bottom (color received will be randomly selected). 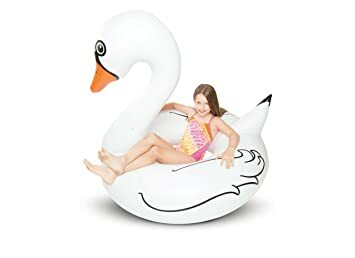 On Walmart.com you can now buy this Intex Inflatable Flamingo Ride On Float for only $10.99 (regularly $18.43)! Choose free in-store pick up. This float is 56″ X 54″ X 38″ when inflated, has 2 heavy duty handles and comes with a repair kit. 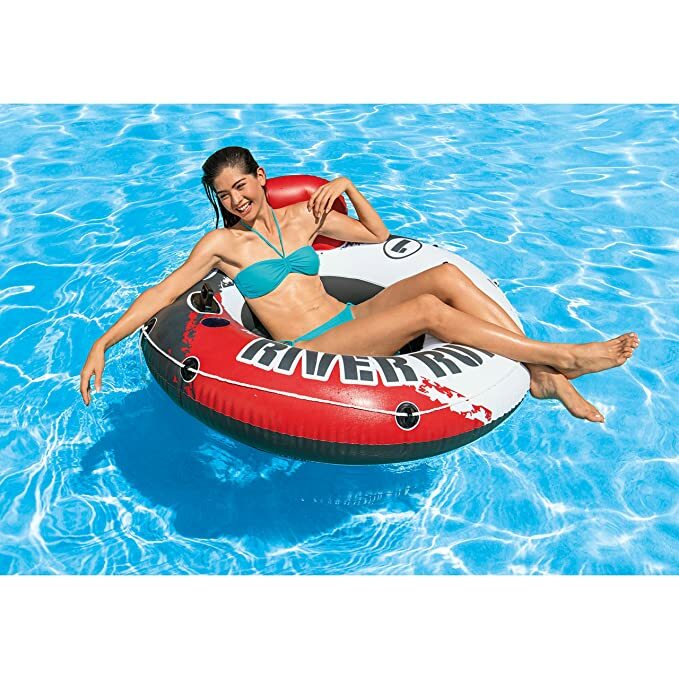 On Amazon.com where you can now buy this Intex River Run Inflatable Water Float for just $12.28 (regularly $19.99)! This pool float has cup holders, a built-in backrest for comfort and a mesh bottom which allows the water to keep you cool. 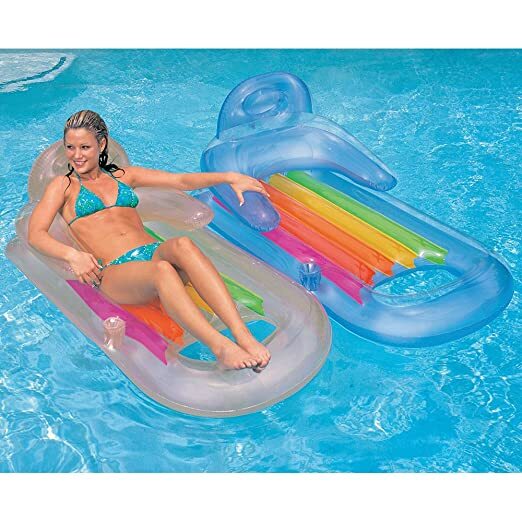 It also has an all-around grab rope for mobility and ease of use and would be perfect for tubing down the river or just relaxing at the lake or pool!